AI can take us to the next level of thinking. Three times a day I take a drug called levodopa. I take it because my brain does not produce enough dopamine, without it my hands and feet shake and I have difficulty getting my body to do what I want it to do. These are symptoms of Parkinson’s disease and mean that many of my dopamine producing neurons have died. But, thanks to levodopa, I can feed my brain synthetic dopamine. 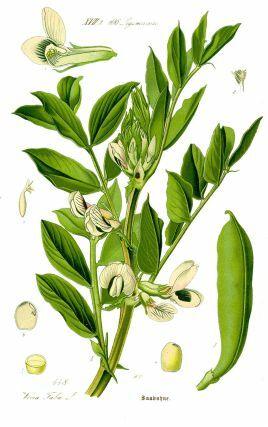 It is an incredible little drug that we discovered to be naturally produced in the broad bean plant, pictured here. (The fact that nature makes in this plant the exact molecule that is missing in my brain leaves me dumb-founded.) In the first half of the 20th century we figured out how to chemically produce the compound, allowing us to manufacture it in mass quantities and distribute it to Parkinson’s disease patients world-wide. That we figured all that out is a testament to our ingenuity and our intelligence. If someone was diagnosed with Parkinson’s just 60 years ago, there would be nothing that any doctor could do for them. I owe my ability to function today to this plant and to human intellect. But it is not good enough. Every time I take this drug it floods my entire brain with dopamine, while this does produce a cool high and also makes me more alert and focused, it has some negative effects. In any drug that you might take, from the THC in marijuana to the caffeine in coffee, there are chemicals in them that bind to receptors in your brain. This either stimulates or inhibits neurons which has a cascade of other effects. One of them is that when taken regularly the brain produces extra receptors in anticipation of the drug, that is why tolerance goes up. This might not sound like such a bad thing, but it does alter the chemistry and structure of your brain. While the altered structure that results from too much caffeine may not be that harmful, other drugs, like synthetic dopamine, can be. Most people who take levodopa for many years start to experience a side-effect of the drug called dyskinesia that makes it very difficult to control one’s body. To combat this side effect we have other drugs that further alter your brain which eventually leads to more drugs to combat the harmful effects of the previous drug. Before long patients end up spending most of their day shoving pills into their mouth and the disease becomes incredibly difficult to manage. Also, every person’s brain is wired differently and as a result the effects of drugs produce a slightly different response in each one of us. For now the pharmaceutical industry is built around a one-drug-fits-all motto and until we get to the point where we can have a personalized approach to treating diseases this will continue to be the case. So what to do? Well, it is very likely that the mechanisms underlying neurodegeneration, which everyone will suffer from to some degree, are just too complex for us to figure out. The number of factors that one needs to consider to make sense of such diseases is incredibly long, most likely too long for any human, or even any group of humans, to make sense of. While we have come pretty far in our treatment of such diseases and have some exciting new therapies in the pipeline, there is no cure on the horizon and the reality is that we might just not be smart enough to figure these things out. The same can be said for a number of riddles that we are still faced with. In the end the reason why we can’t figure out how to deal with climate change, or what the origins of the universe are or even how to settle the Israeli-Palestinian conflict is that there are limits to what we are capable of and for some issues, like the latter, there is the added difficulty of having too much human stupidity in the way. Which is why the creation of artificial intelligence might ultimately be a good thing. Just like every parent hopes that their child will be smarter than they are, the hope is that if we give birth to an artificial form of intelligence it will be wiser than we are and may be able to figure out many of the problems in the world that we can not. And we might be a lot closer to bringing about AI than most people think.